Three cheers for sprinkles! Hip, hip, hooray! Hip, hip, hooray! Hip, hip, hooray! 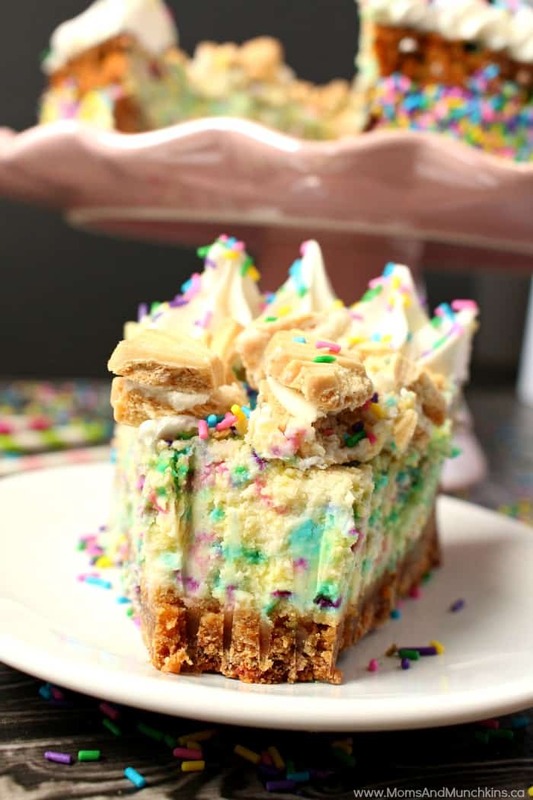 If you love sprinkles (if you’re viewing this recipe then I assume you do), then you’re going to love this Funfetti Cheesecake. Not only are there sprinkles in the cheesecake but there are more sprinkles on the top and sides of the cheesecake. 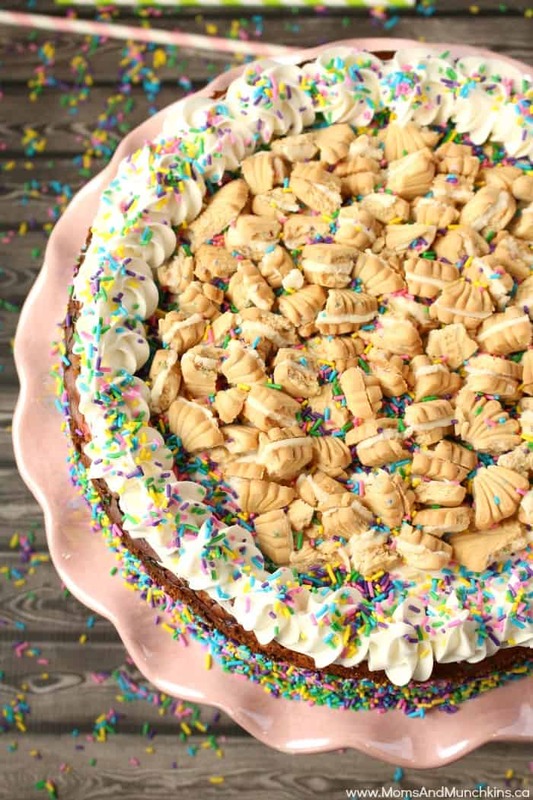 You could even add sprinkles into the sugar cookie base. 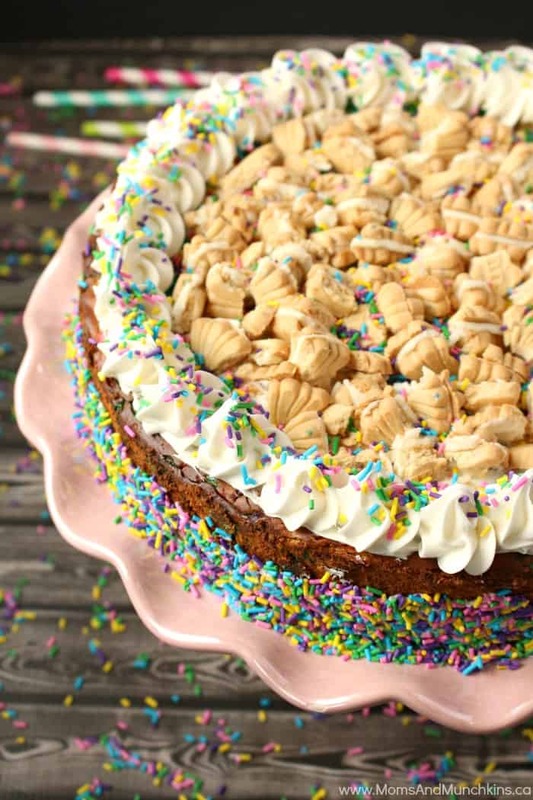 Every cake is better with sprinkles! 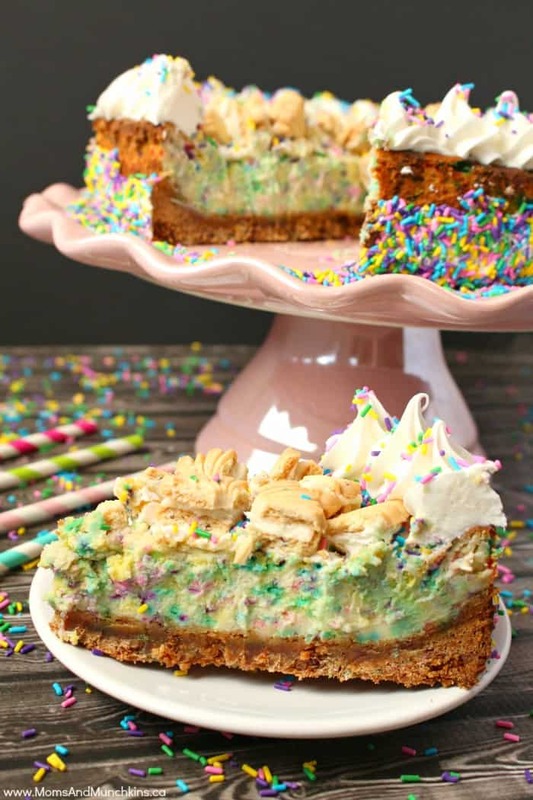 This Funfetti Cheesecake would be perfect for a birthday party or really any kind of party…or even just as a midnight snack. Let’s just say this recipe is good for any day of the year whether you have something special to celebrate or not. 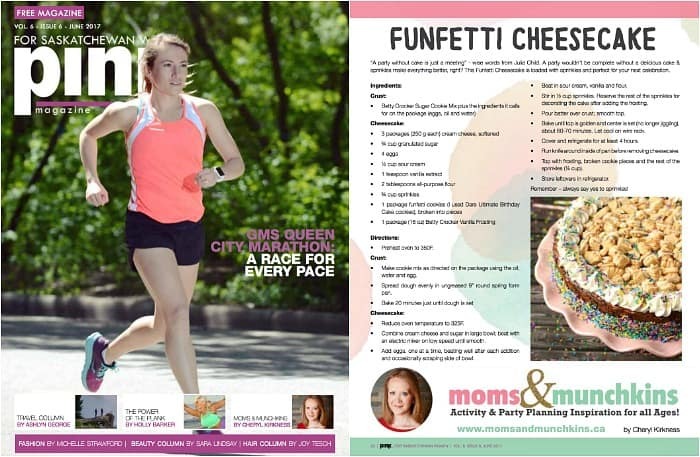 This Funfetti Cheesecake recipe was something I shared in Pink Magazine but now I’m sharing the full printable recipe for you here! Spread dough evenly in ungreased 9" round spring form pan. Stir in ½ cup sprinkles. Reserve the rest of the sprinkles for decorating the cake after adding the frosting. Top with frosting, broken cookie pieces and the rest of the sprinkles (¼ cup). 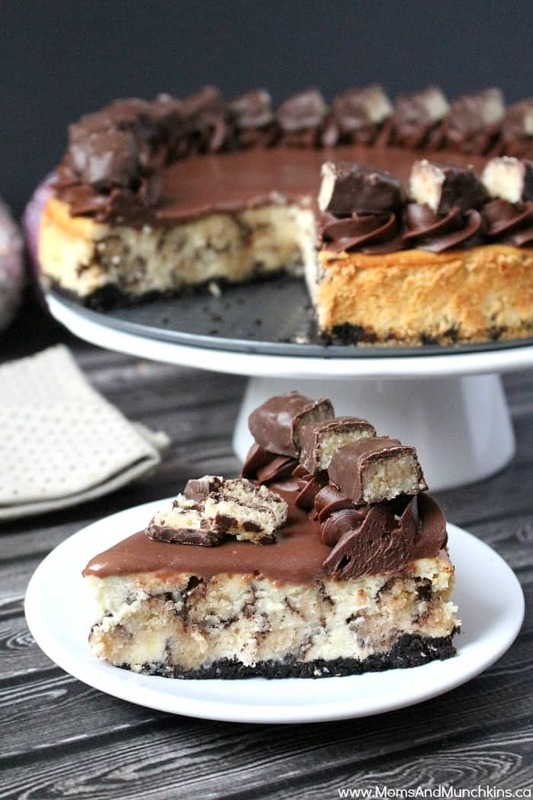 If you love cheesecake (and who doesn’t?) then check out some of my other delicious cheesecake creations. Chocolate Macaroon Cheesecake – a delicious combination of chocolate and coconut. 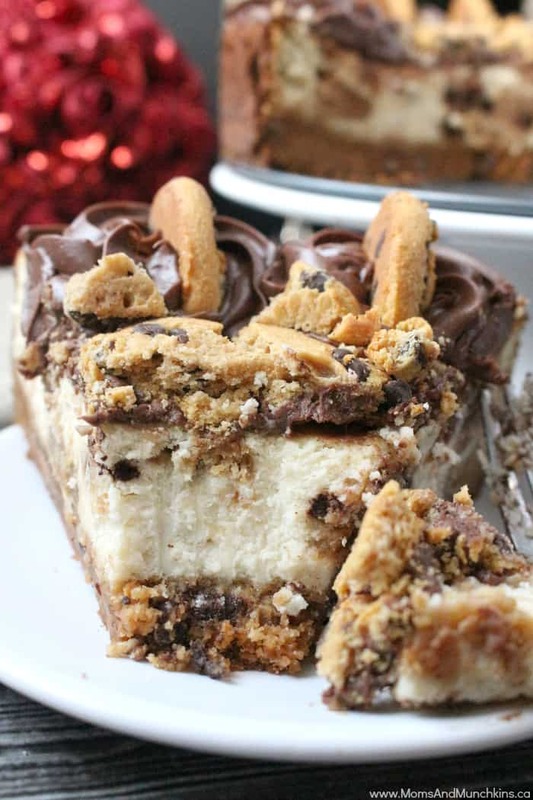 Chocolate Chip Cookie Cheesecake – cookies as a crust, baked into the cheesecake and crumbled on top! 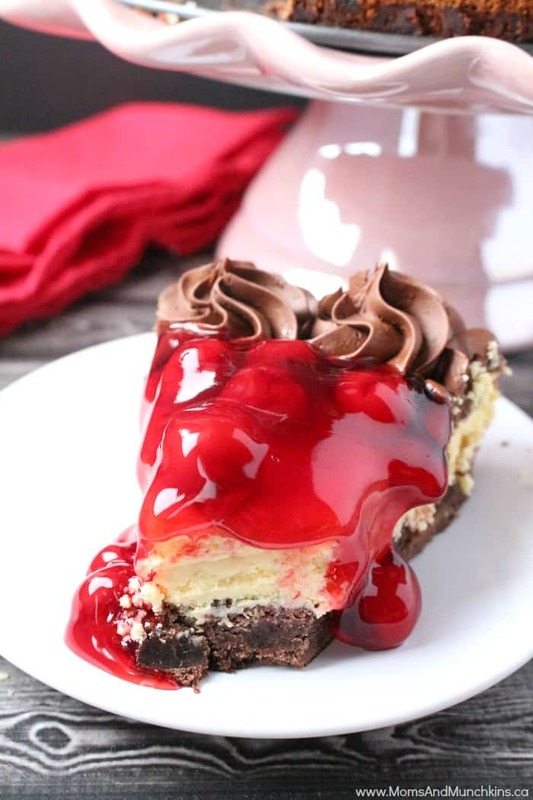 Chocolate Cherry Cheesecake – a brownie base topped with cheesecake, cherry pie pilling and chocolate frosting. 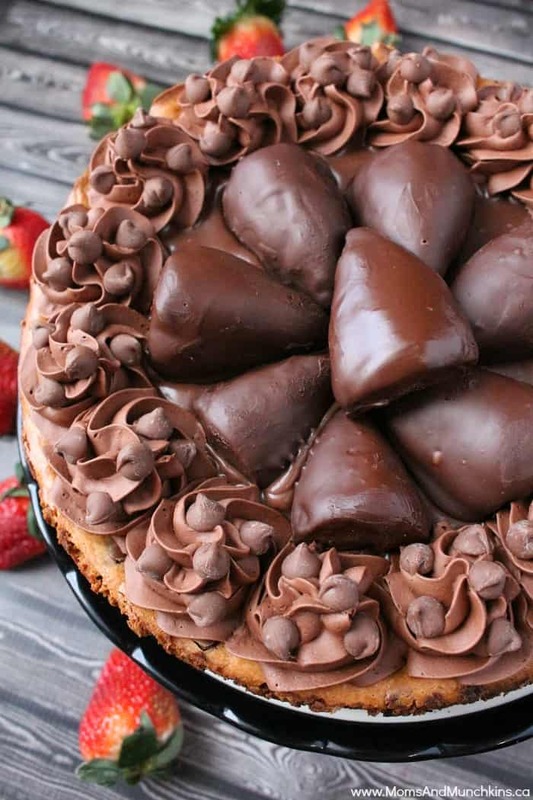 Chocolate Strawberry Cheesecake – this isn’t the same basic cheesecake recipe but it’s still mighty tasty. No time for baking? No problem! 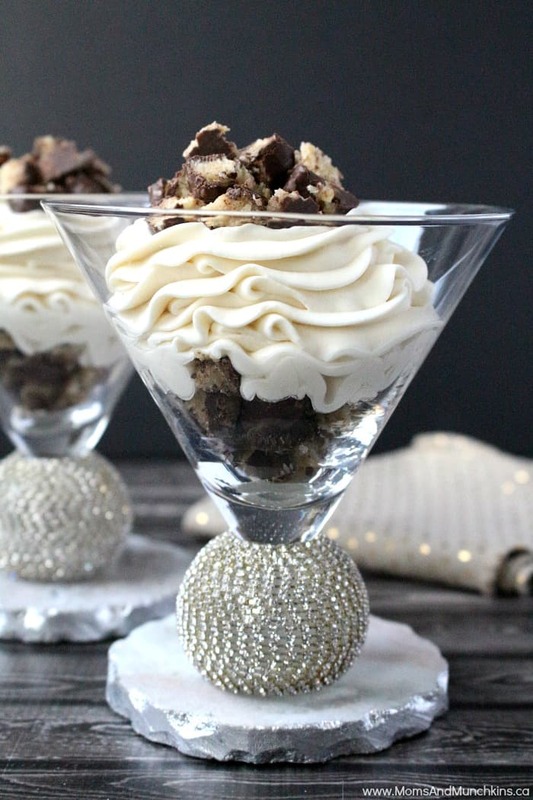 Try these No Bake Chocolate Macaroon Cheesecake Parfaits instead. You can view more recipes for dessert, family meals, party appetizers and more on our Recipes page. Stay updated on the latest ideas by following us on Facebook, Twitter, Instagram and Pinterest!